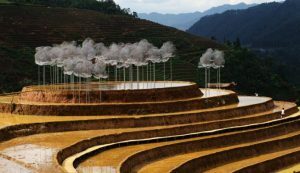 The Crystal Cloud, a public art installation on the Mu Cang Chai terraced rice field in the northern province of Yen Bai recently drew attention from locals and tourists. It took two years to prepare for the project, two months to install it, but it remained on display for just two weeks. The artwork was removed early because it stirred controversy among the community. Many people questioned if it’s suitable to put the dazzling artwork on a field where farmers and buffaloes work every day and if it’s necessary to beautify the rice fields, which are already charming and among the country’s national heritage. Mu Cang Chai District has 500 hectares of terraced rice fields in La Pan Tan, Che Cu Nha, and De Xu Phinh communes, cultivated by the ethnic Mong people for centuries. The local field where the artwork was installed is among 2,500 hectares recognized as national heritage sites in 2007 by the Ministry of Culture, Sports and Tourism. 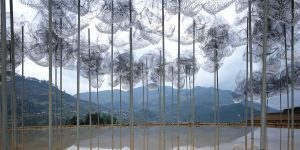 The installation is a structure that features a cloud-like galvanized wire mesh decorated with 59,000 crystal beads attached to several poles on the top of Mam Xoi Hill, one of Mu Cang Chai’s most popular tourist spots. 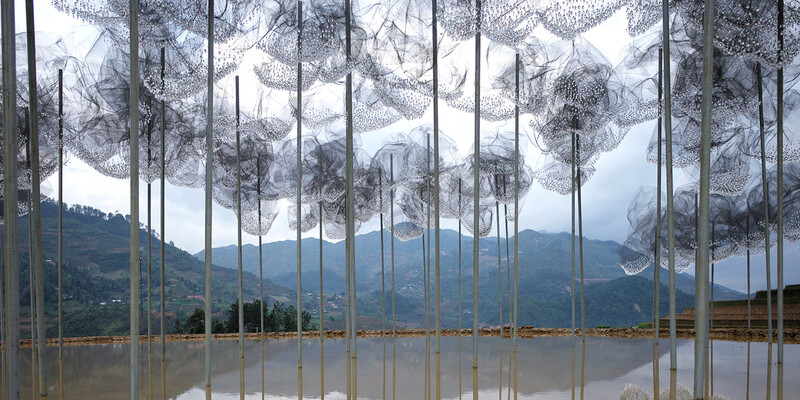 The art installation is the brainchild of landscape artists Andy Cao and Xavier Parrot. The execution of the project is a joint effort between the artists, local architects, the Mong community and Yen Bai provincial authorities. Representing the organizer, architect Le Viet Ha said the project received permission and the support of local residents and authorities. The organizers are committed to not harming the rice field and keeping the landscape completely intact after the exhibition. Proceeds from ticket sales will go to owners of the fields and volunteers. 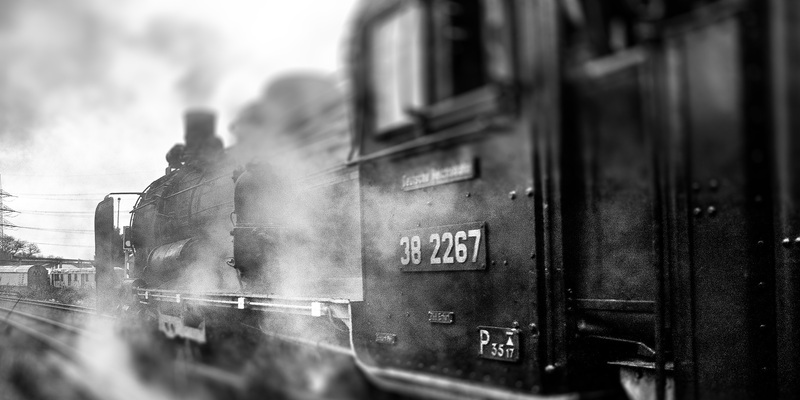 The Crystal Cloud attracted thousands of locals and tourists alike on its opening days. 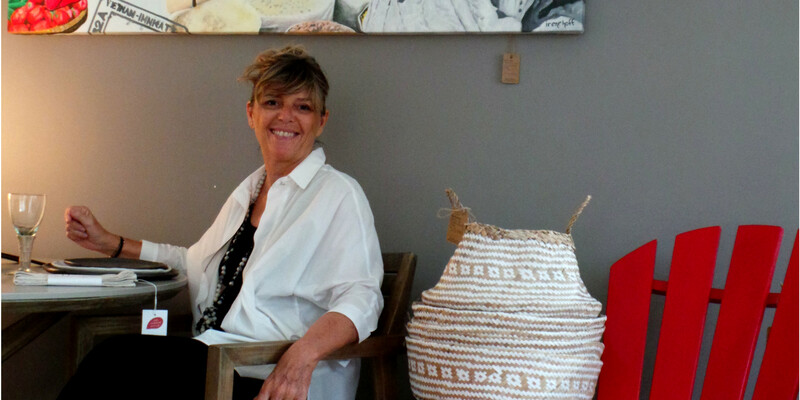 Many praised the exhibition for being creative and beautiful. “Whenever the sun shines, the light reflects and disperses into seven colors of the rainbow and can be seen from hundreds of meters away, even when you’re standing on nearby hills,” said Nguyen Thi Huong Lien, a visitor to the installation. Others, however, weren’t so pleased. Many took to social media to express their disappointment, claiming that the Crystal Cloud is ugly and the installation is destroying the natural beauty of the landscape. Photographer Doan Dung, who has taken many photos of the rice fields in Mu Cang Chai, said he felt disappointed. “I don’t know what is beautiful about it, the original nature is already a masterpiece. It’s just going to ruin it,” he said. “Terraced fields in Mu Cang Chai are beautiful all year round. Visitors in March can see glittering water surface before locals transplant rice seedlings from April to May. After May, the hills are covered in green until the fields start to turn yellow with ripe rice in early September. During the harvest in October, the golden rice fields stand out amidst green forests.” “Instead of the terraced fields, now I see soulless iron poles and a grey cloud,” said Dung. 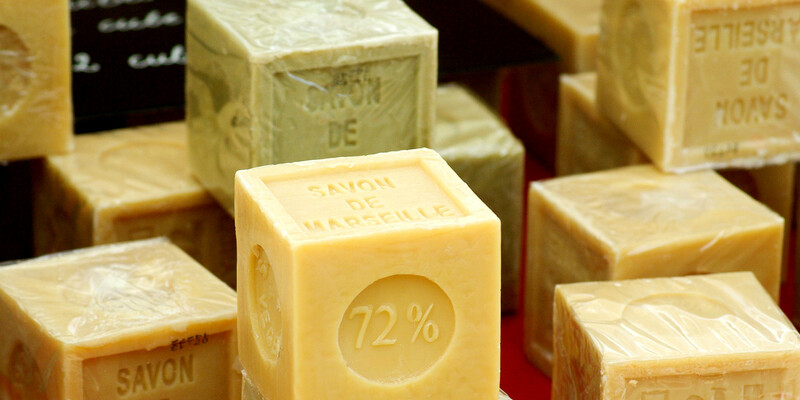 WE WANT GOOD SOAP IN OUR BATHROOM!